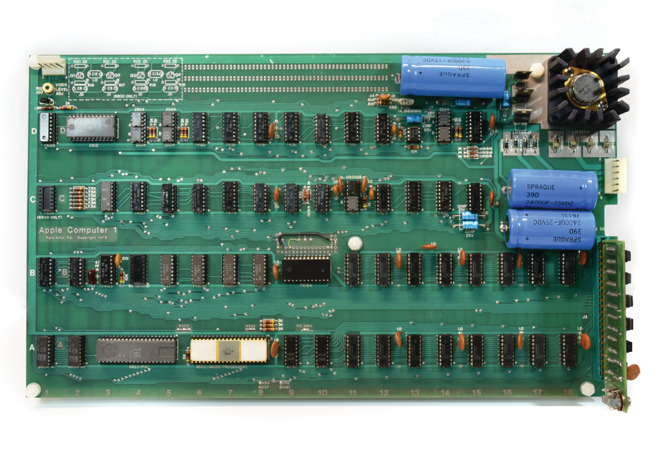 One of the rare surviving operational Apple-1 computers will be heading to auction in late September, with the working piece of computing history estimated to fetch as much as $400,000 when it goes on sale. The auction, due to take place on September 25 at 1PM in Boston by Invaluable.com in its "Remarkable Rarities" sale, will sell one of the original 200 Apple-1 units designed and built by Steve Jobs and Steve Wozniak, and is one of the estimated 60 to 70 that are still operational. According to the auctioneer, the computer was restored to original working order in June 2018 by expert Corey Cohen, who also evaluated the condition of the unit as 8.5 out of 10. The computer was originally sold through The Byte Shop in Mountain View, California, priced at the time at $666.66. According to Executive Vice President of RR Auction, the firm selling the Apple-1 through Invaluable, the cosigner paid $300 to the original owner, and after learning BASIC and writing small programs, he apparently held onto it after realizing it was a piece of computing history. It is claimed he attempted to sell it to Wozniak for $10,000 in 1982, but apparently the offer went unanswered. Lot 3027 consists of the original Apple-1 board, original Apple Cassette Interface, original operation manuals for both the board and the cassette interface, a period surplus ASCII keyboard, a period "open-frame" Sanyo 4205 video monitor, a new period-style power supply with original Apple-1 power cable and connector, and period cassette interface cables. The current estimate for the lot is between $300,000 and $400,000, but it could possibly sell for a much higher price. One working Apple-1 unit went on sale in June for $210,000, while another sold in August 2016 went for $815,000. The current record for the sale stands at $905,000, set in October 2014 and bought by the Henry Ford organization. 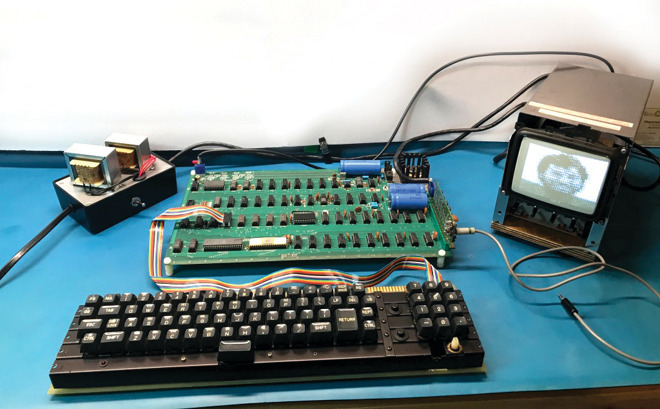 Ahead of the auction, the Apple-1 will go through a scanning process typically used on artworks, in order to monitor its condition and to digitally capture its appearance. The process will capture tens of thousands of photographs using different light sources and spectrums, resulting in a 5D interactive file that is said to provide "unparalleled views and feelings of texture for each scanned object." The scan, as well as a demonstration showing the Apple-1 works, will be revealed on September 5 at 11am at Invaluable's headquarters.